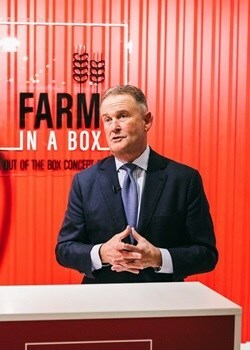 AGCO recently unveiled its Farm in a Box (FIAB) initiative for Africa - a farming mechanisation for rural communities and their farmers - during Germany's International Green Week on 18 January 2019. With the aim to encourage entrepreneurship through a franchising model, AGCO's FIAB makes it possible for smallholders farmers to gain access to machinery they need to increase profits, which are attainable through FIAB packages which consist of a tractor; parts, workshop tools, training and knowledge to create productive and sustainable operations. In Africa, smallholder farmers contribute over 80% of food and agricultural production on the African continent and much of the world's. Gary L. Collar, AGCO’s Senior Vice President and GM Asia Pacific and Africa says that by providing or empowering small scale farmers with the mechanism, they are able to do a little more to become commercially viable. "What is needed here is to focus on how to develop and integrate small farmers into an overall system that becomes self-sustaining and ensures job creation, economic stability, food security, and food self-sufficiency." Collar elaborates on the new FIAB initiative, how its empowering and encouraging African countries, and Agco's sustainable solution for farmers and itself. How did you manage to work out the solution to be sustainable for farmers? 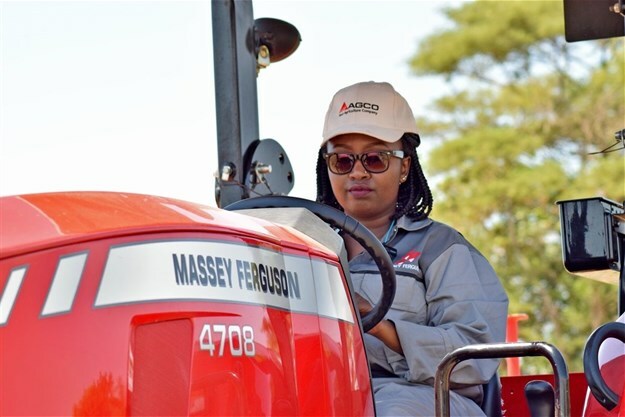 In October 2017, AGCO Future Farm in Zambia started a mechanisation pilot project in collaboration with the Department for International Development in the UK, Harper Adams University, and two Zambian Agro-Dealers. Data collected from this project has been analysed and used to construct the basis of what we're doing. Which African countries are you looking to empower, and in which ways? 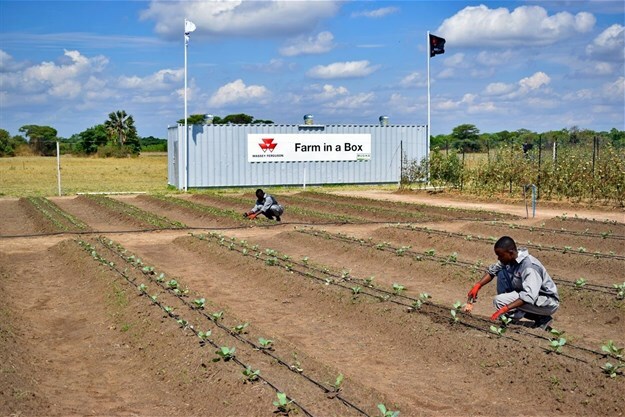 The Farm in a Box system is aimed at the continent as a whole, but as with any projects we launch, it made sense for us to launch in Zambia to oversee the first phase through the support from the AGCO Future Farm in Lusaka, Zambia. In Africa, smallholder farmers remain disconnected from knowledge of agricultural mechanisation and face challenges they could have easily overcome. FIAB offers a 45-85hp tractor and implements – such as a ripper, disc harrow, trailer and planter – to carry out land preparation, planting and crop transport, plus parts and workshop tools for their service and maintenance. The package includes training programmes and support from AGCO Future Farm in Lusaka, Zambia which provides technical advice and guidance. Importantly, FIAB takes maximum advantage of the latest telemetry and mobile technology to enable remote monitoring of the equipment and the use of mobile apps. This high level of monitoring, support and guidance from AGCO really sets the concept apart. In which way will encouraging entrepreneurship through a franchising model benefit these rural communities? The franchise partner will offer services to small-holder farmers, enabling them to reap the benefits of agricultural equipment without having to invest in capital assets. Furthermore, franchisees expand their businesses and provide potential new employment opportunities in the locality. What sort of training programmes and support will the AGCO operation entail? Training programmes include mechanisation and agronomy courses, i.e. operations and franchising. Could you give us examples of the type of telemetry and mobile technology to be used? Currently, we are using AGCOMMAND - the telemetry and mobile technology to enable remote monitoring of the equipment and also provide mechanisation, technical guidance and agronomy support. The 'for hire' of equipment and drivers to local farmers and smallholders – in which way are these feasible? Many challenges leading to frequent periods of 'downtime' is due to lack of knowledge on how to use the machine efficiently and effectively. Hence, this service is offered through the franchise partner whereby it becomes possible to keep track of all the training offered and required at all times. What sort of opportunities for economic growth in rural areas will be possible? It will enable rural communities to boost their crop production processes and output. Local communities benefit from improved economies as a result of the enrichment of the agricultural value chain. What is your overall vision for Africa? AGCO’s holistic approach is to advance African agriculture through the identification of the key challenges and barriers to growth in the industry and the development of innovative solutions to overcome them.